This morning at 6:34 UTC, a 5.5 magnitude earthquake hit southern Iran near their nuclear power plant. 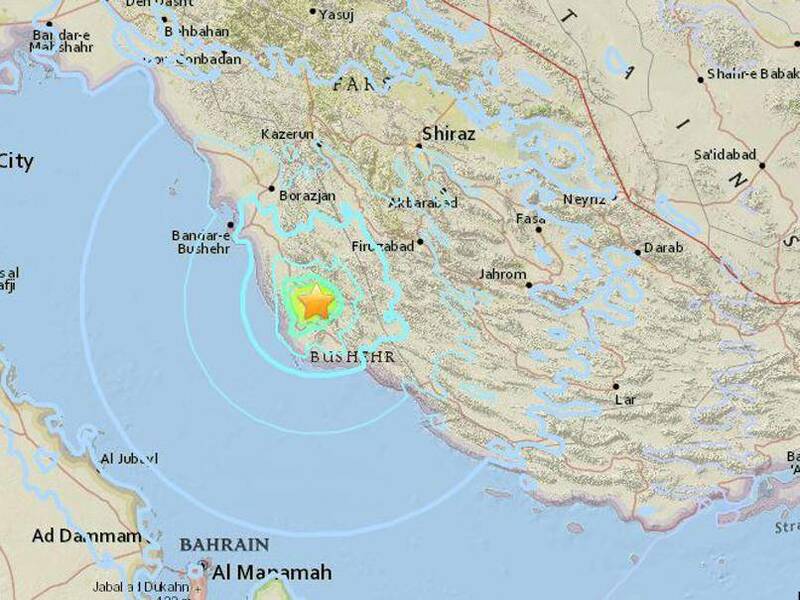 The U.S. Geological Survey said the quake struck 60 miles east of Bushehr where the Bushehr Power Plant is located, the only power plant in the Islamic Republic. There were no injuries or damages reported. 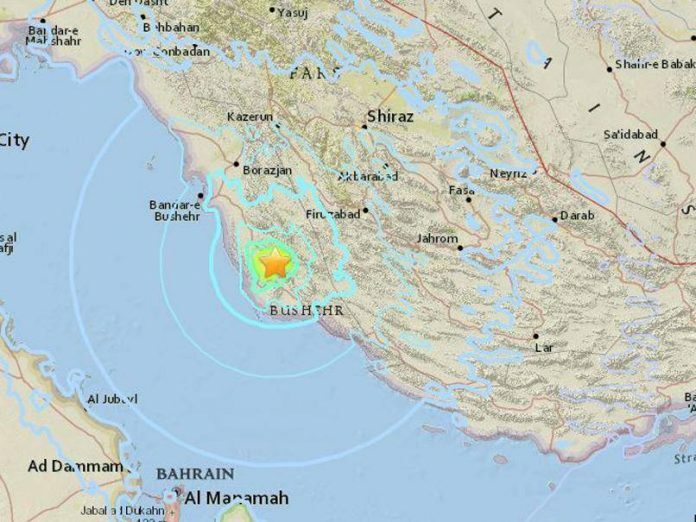 The epicenter was Kaki, a sparsely populated area, but due to its shallow nature, the quake shook Bahrain and other areas around the Persian Gulf. The USGS put the earthquake’s depth at 6.2 miles below the surface. Shallow earthquakes often have wider damage. The USGS said the earthquake’s magnitude was 5.5, while Iranian funded television, citing officials, described the quake as a magnitude 5.9. Iranian state TV did not report any damage to the Bushehr plant, which has seen other earthquakes in the past and is built to resist damage from a temblor. Iran sits on major fault lines and is prone to near-daily earthquakes. In 2003, a 6.6-magnitude quake flattened the historic city of Bam, killing 26,000 people. Bam is near the Bushehr nuclear plant, which wasn’t damaged at that time. In November, a major 7.3 magnitude earthquake struck near the Iraqi border, killing over 530 people and injuring thousands in Iran alone. In Iraq, nine people were killed and 550 were injured, all in the country’s northern Kurdish region. Previous articleAre US Senators Disallowing The Confirmation of Mike Pompeo Based on A Religious Test?